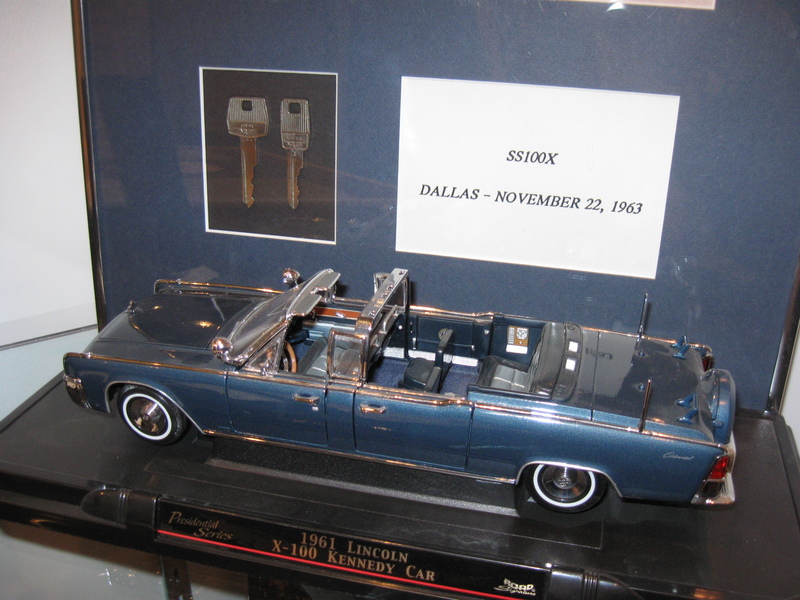 A model of the car in which President Kennedy was riding on November 22, 1963 in Dallas, Texas. 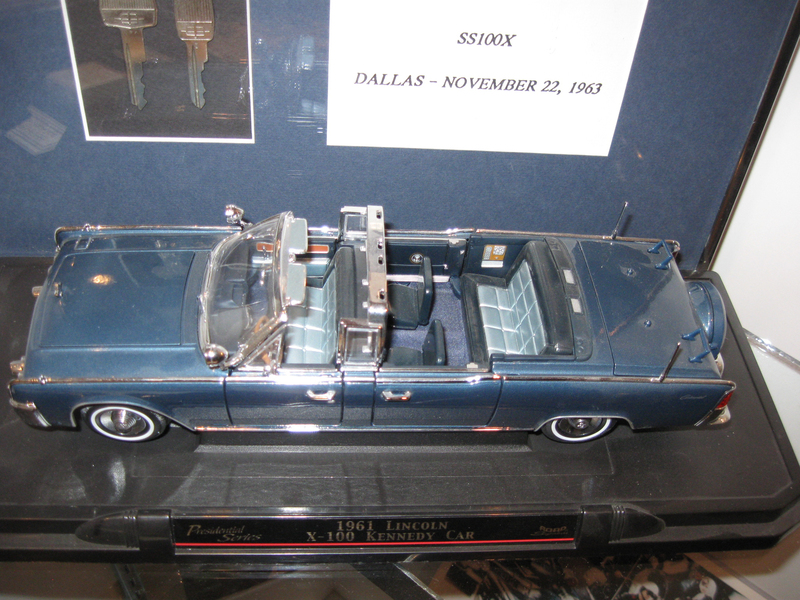 More importantly, the keys shown were in the vehicle when the President was assassinated. This view was taken facing southwest at approximately 5:45 PM on Monday, February 1, 2010. The Gettysburg Museum of History is a privately owned museum on Baltimore Street. Containing approximately 4000 artifacts, it is one of the few remaining FREE Civil War Museums in Gettysburg. It is set up to look like the museums that were in multiple locations in the Gettysburg area during the early part of the twentieth century. Owner Erik Dorr showed us some of the highlights. In our first Gettysburg Museum of History post, owner and curator Erik Dorr gave us a brief overview of the museum. In our second post, Erik Dorr shows us objects in the entrance hall, the Civil War Room, and the Presidential Room. In today’s post, Museum Owner/Curator Erik Dorr shows us the World War I/World War II room, the Kennedy Collection Room, and the Kennedy Assassination Room. The Gettysburg Museum of History is actively attempting to increase its collection by acquiring items from local families and military veterans. To contact the Museum, please click here to reveal their email address. 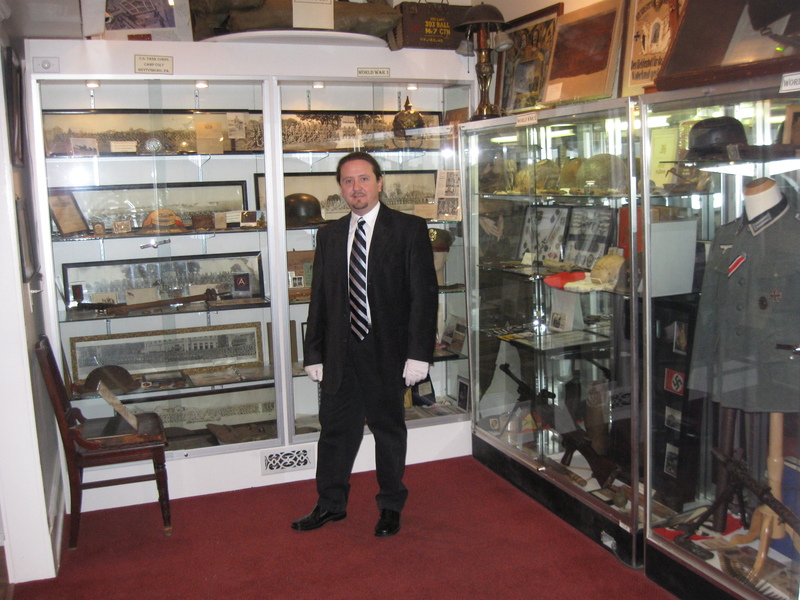 Gettysburg Museum of History Owner/Curator Erik Dorr is standing in the World War I and World War II room. This view was taken facing southwest at approximately 5:45 PM on Monday, February 1, 2010. In Video #7 (Videos #1- #6 were shown in our previous posts, owner Erik Dorr shows us some items in the World War I and World War II room of the Gettysburg Museum of History. This view was taken facing south to west to north at approximately 5:45 PM on Monday, February 1, 2010. 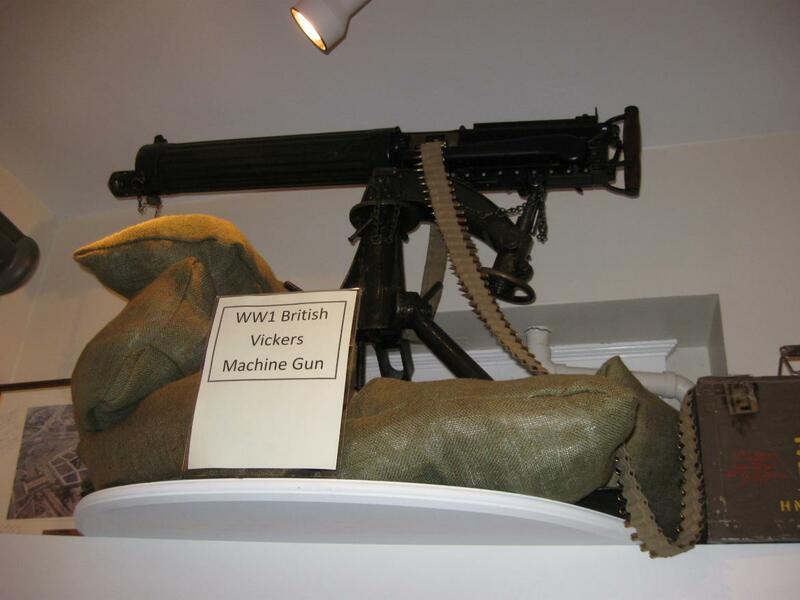 The Vickers Machine Gun typically required a six to eight man team to operate: one to fire, one to feed the ammunition, and the rest to help carry the weapon, its ammunition and spare parts. This view was taken facing south at approximately 5:45 PM on Monday, February 1, 2010. 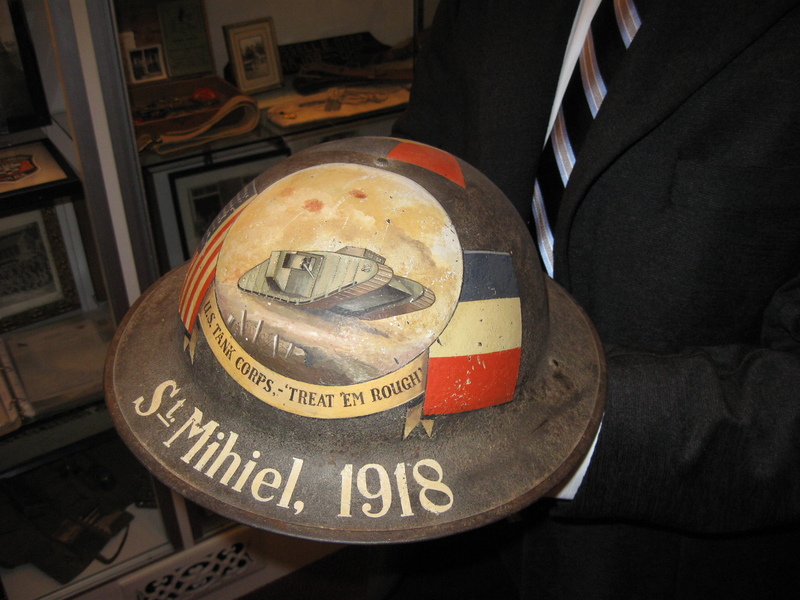 A painted tank helmet from World War I. This view was taken facing southwest at approximately 5:45 PM on Monday, February 1, 2010. 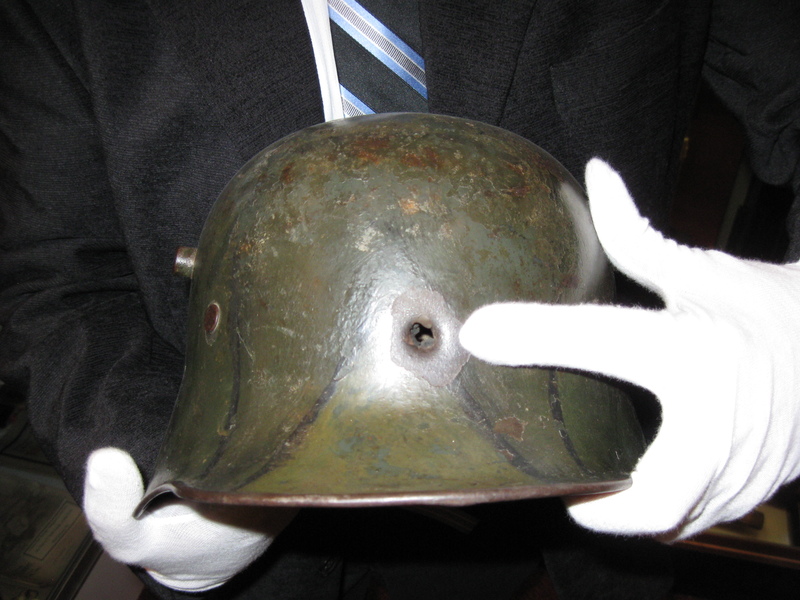 The hole where a bullet entered this German helmet. This view was taken facing south at approximately 5:45 PM on Monday, February 1, 2010. 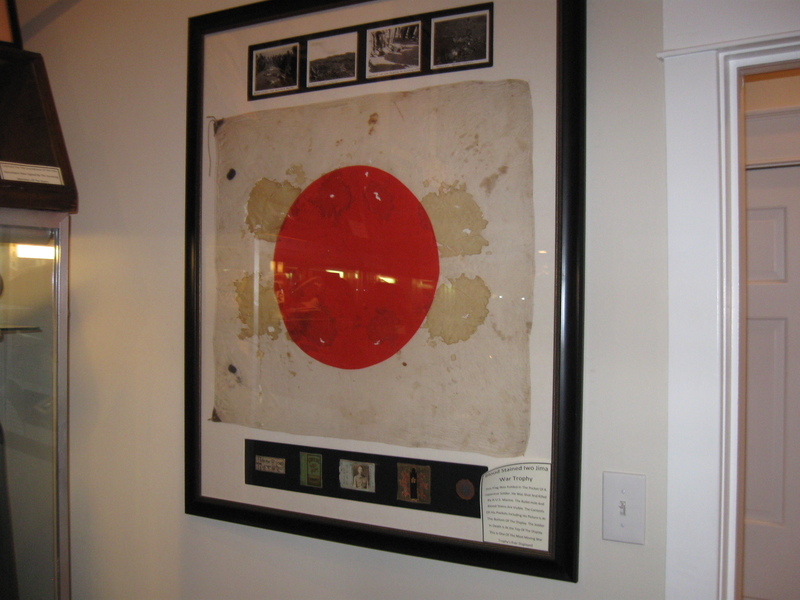 The flag carried by a Japanese soldier on Iwo Jima. This view was taken facing northwest at approximately 5:45 PM on Monday, February 1, 2010. 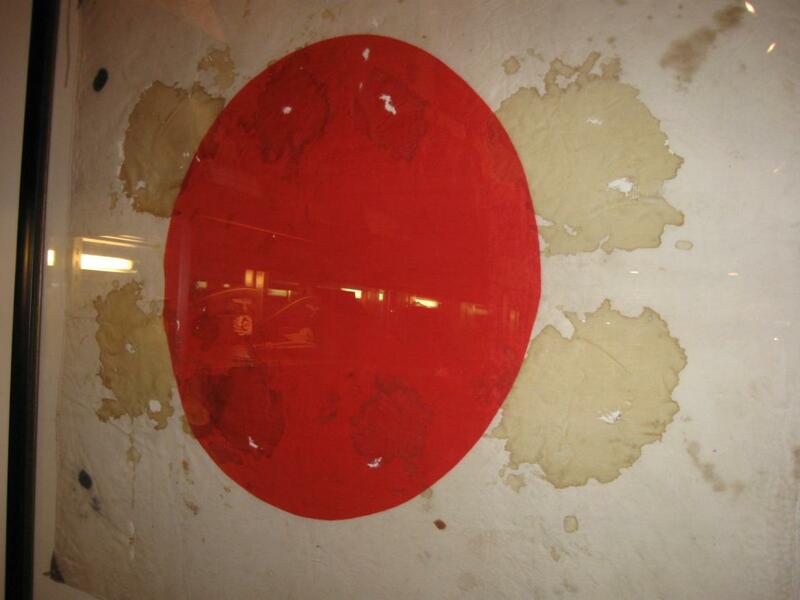 A closer view of the flag showing the bullet holes and blood stains. This view was taken facing north at approximately 5:45 PM on Monday, February 1, 2010. 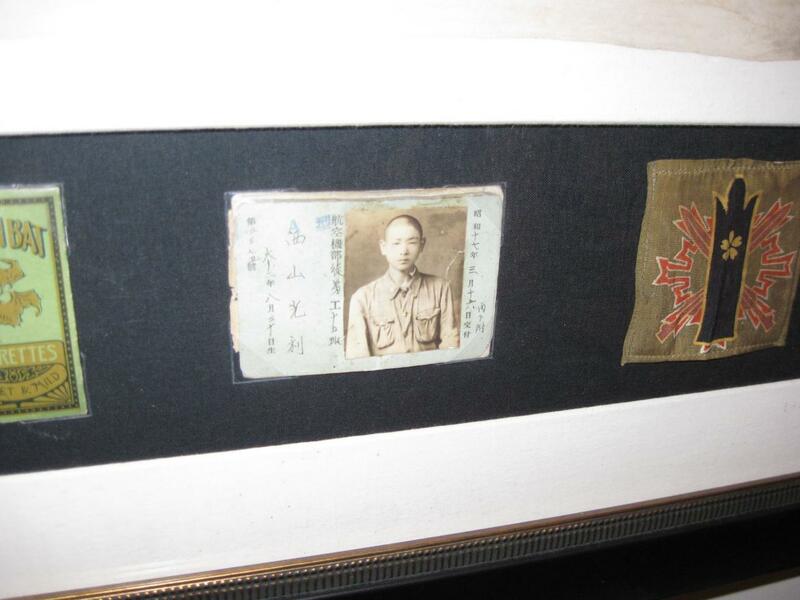 The Identification Card of the Japanese soldier who died while carrying the flag. This view was taken facing north at approximately 5:45 PM on Monday, February 1, 2010. Museum owner Erik Dorr has now moved into the John F. Kennedy Room. 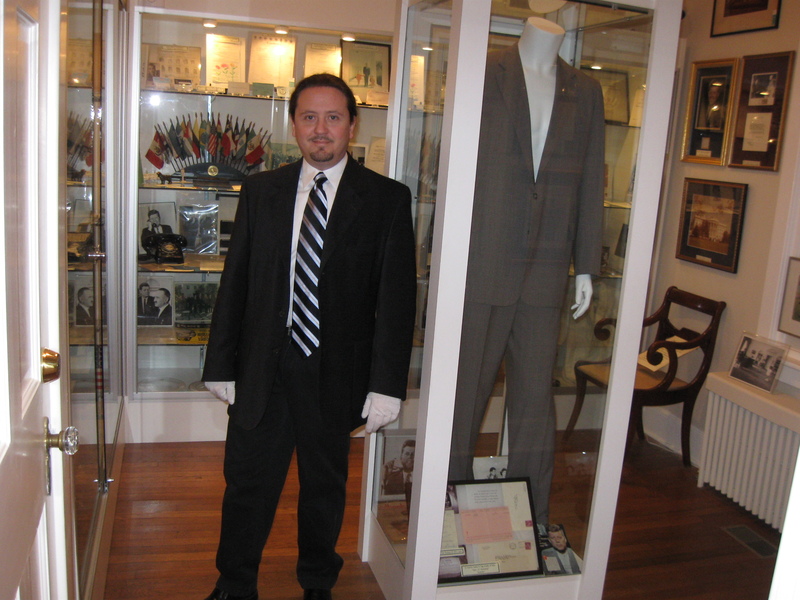 On the right is a suit worn by John F. Kennedy when he was a Massachusetts U.S. Senator. This view was taken facing south at approximately 5:45 PM on Monday, February 1, 2010. 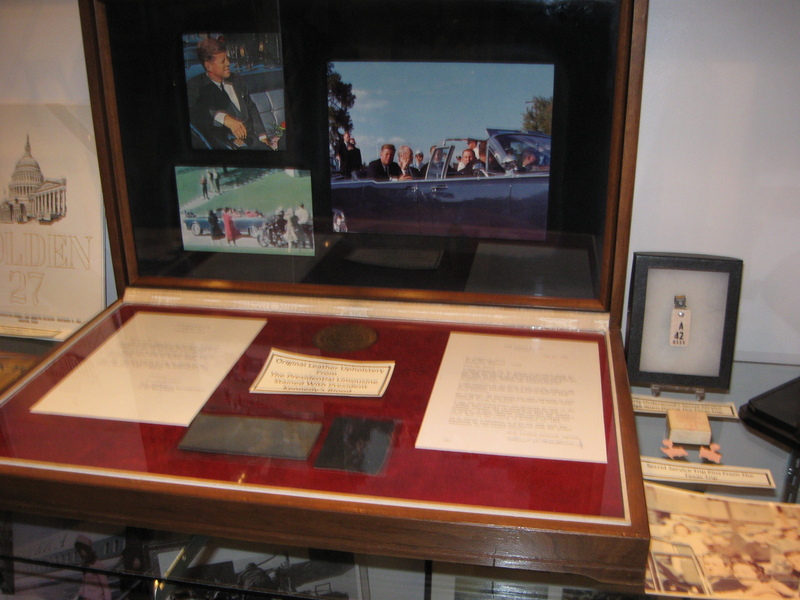 In Video #8, Erik Dorr shows us some personal items owned by John F. Kennedy. This view was taken facing south to southeast to south to southwest to north to south to north at approximately 5:45 PM on Monday, February 1, 2010. 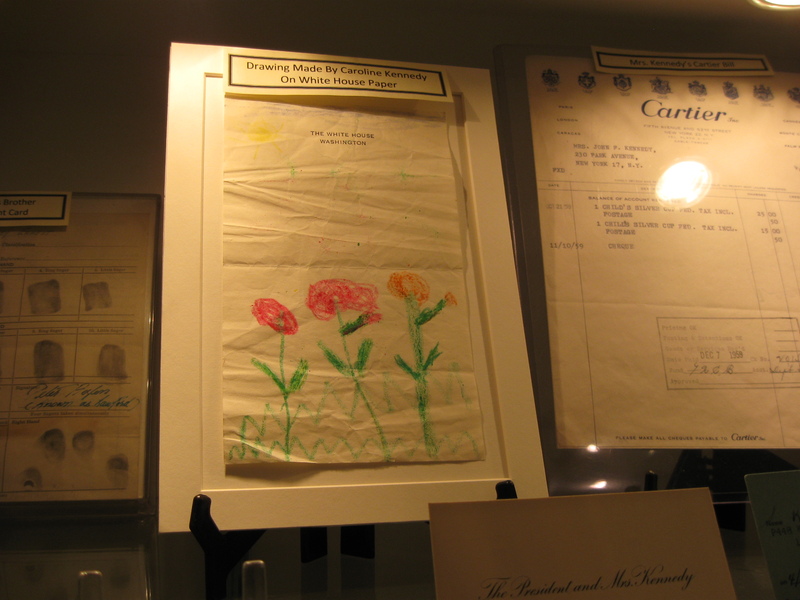 President Kennedy had thrown this drawing by his daughter in the waste basket, and his secretary, Evelyn Lincoln, took it out and saved it. This view was taken facing south at approximately 5:45 PM on Monday, February 1, 2010. 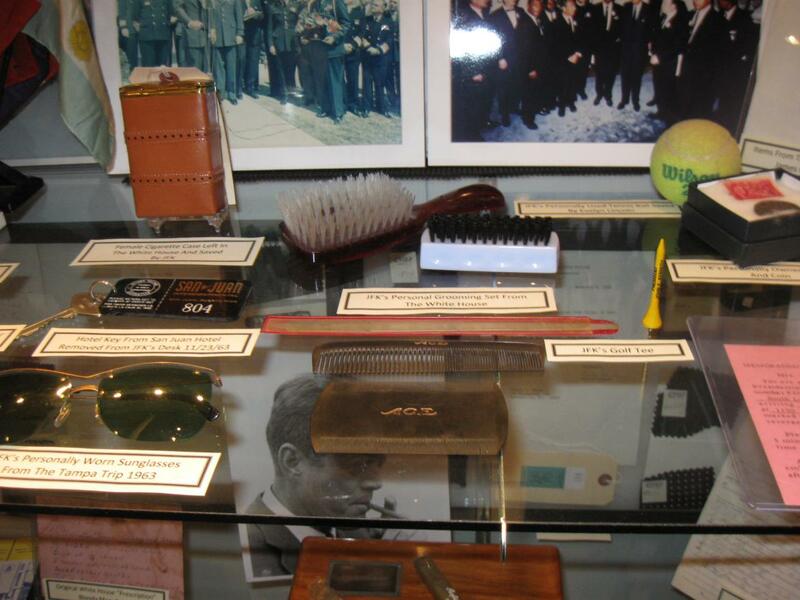 Some of the President’s personal grooming items. This view was taken facing south at approximately 5:45 PM on Monday, February 1, 2010. 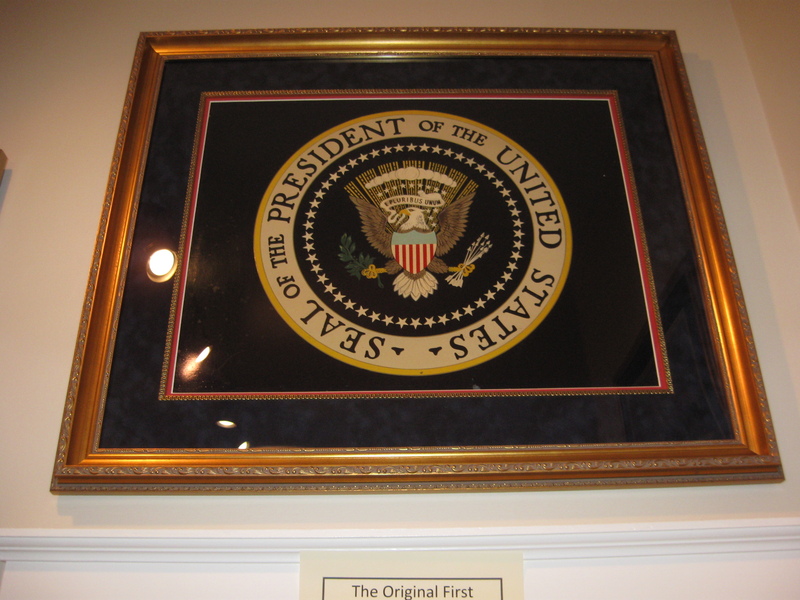 President Kennedy authorized the Presidential Seal to be placed on the Presidential helicopters in 1962. This seal was used from 1962 to 1964. It was given to the Flight Chief as a retirement gift. This view was taken facing north at approximately 5:45 PM on Monday, February 1, 2010. Erik Dorr is standing in the hallway between the Kennedy Collection room, which we just visited, and the Kennedy Assassination room. 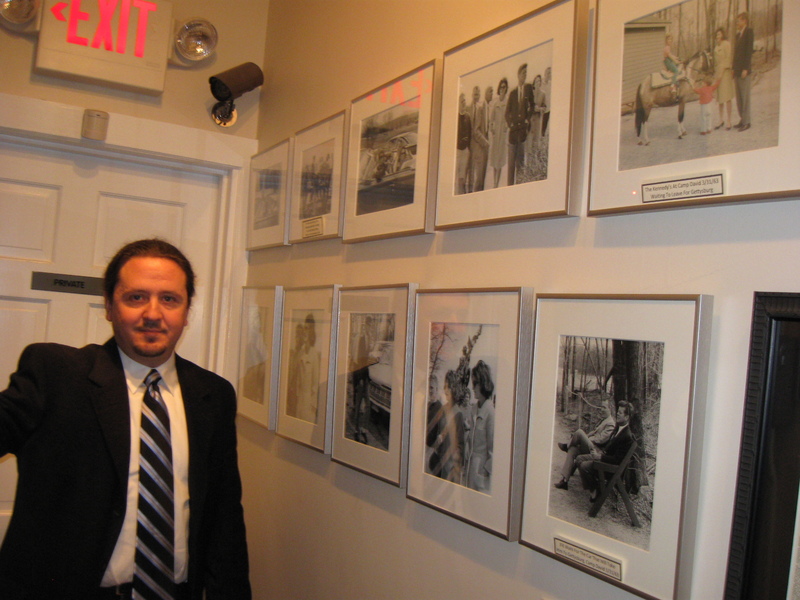 The photographs are from President Kennedy’s visit to Gettysburg in March, 1963. This view was taken facing west at approximately 5:45 PM on Monday, February 1, 2010. In Video #9, Erik Dorr shows us the Kennedy Assassination room which contains more than a few interesting items from the Texas trip. This view was taken facing west to north to southwest to west to north to east at approximately 5:45 PM on Monday, February 1, 2010. 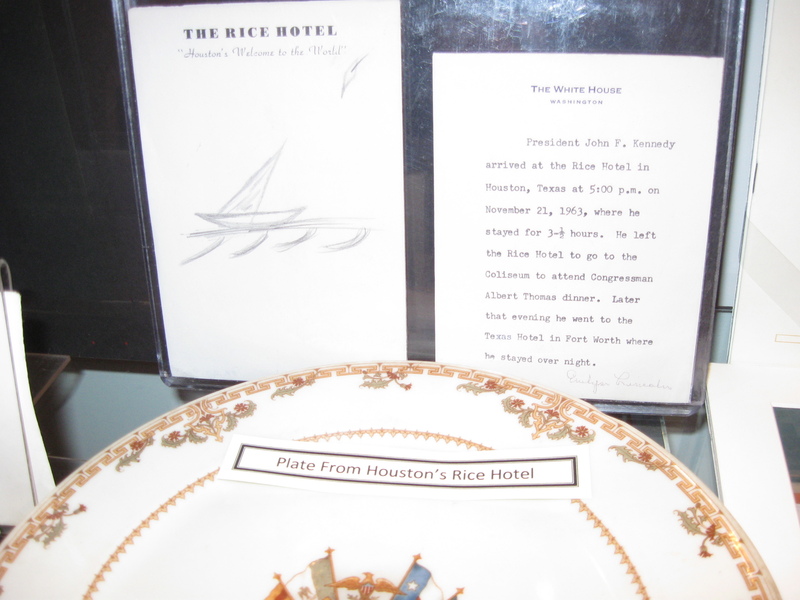 On the left is a “doodle” of a sailboat made by President Kennedy while in the Rice Hotel in Houston Texas on November 21, 1963. This view was taken facing south at approximately 5:45 PM on Monday, February 1, 2010. 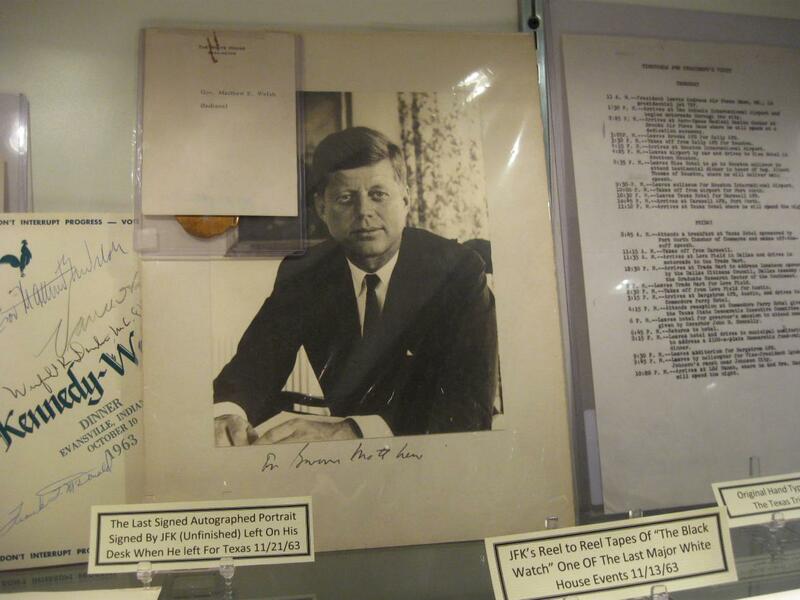 President Kennedy was autographing this picture to Governor Matthew E. Welsh of Indiana when he was called to the helicopter for his trip to Texas. This was the last item he signed in the White House. This view was taken facing south at approximately 5:45 PM on Monday, February 1, 2010. This box contains some samples of the interior of the Presidential Limousine in which the President was riding on November 22, 1863. This view was taken facing south at approximately 5:45 PM on Monday, February 1, 2010. The swatches contain the President’s blood. Sorry the picture is “washed out,” but this should give you more incentive to visit the museum in person. This view was taken facing south at approximately 5:45 PM on Monday, February 1, 2010. 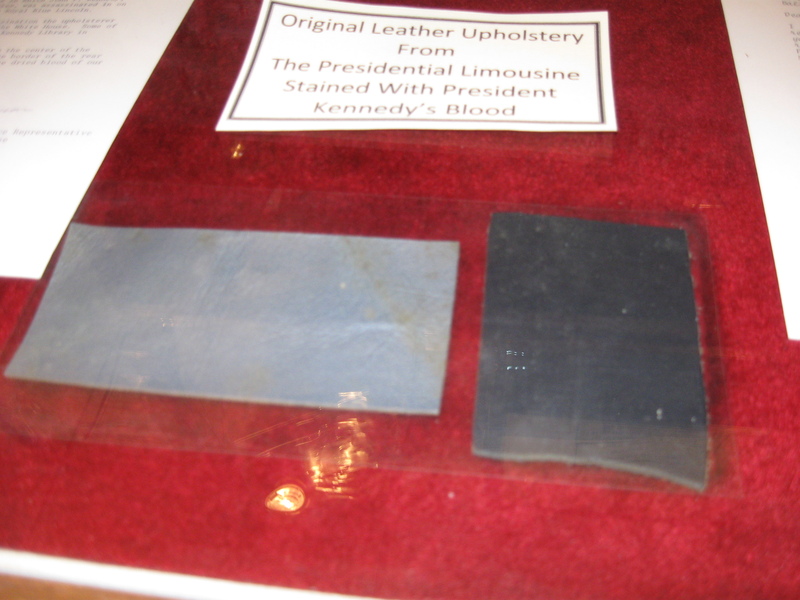 A closer view of the interior shows that the fabric and the blood was from the back seat where the President and Mrs. Kennedy were sitting, not the jump seat where Governor John Connally was riding. This view was taken facing southwest at approximately 5:45 PM on Monday, February 1, 2010. 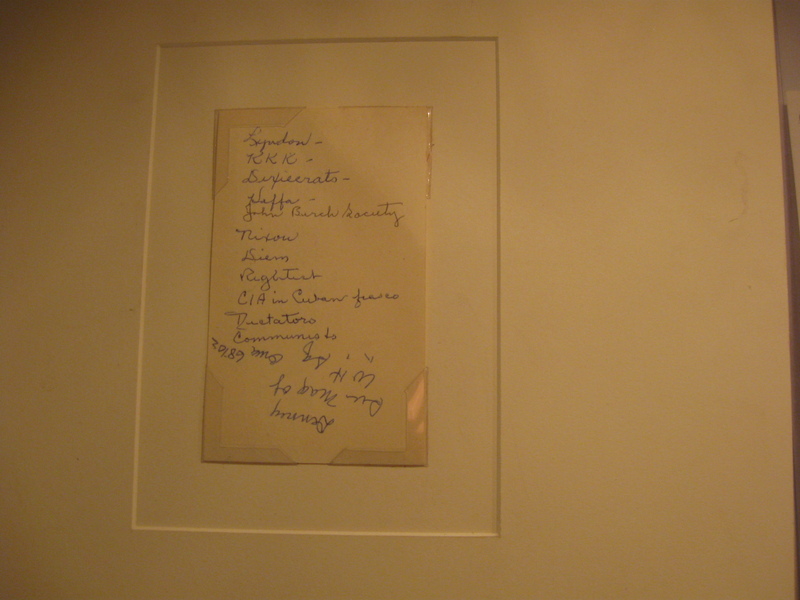 Following the assassination, on the flight from Dallas to Washington, President Kennedy’s personal secretary, Evelyn Lincoln made this list of whom she thought was involved in the assassination. At the top of the list is “Lyndon” Johnson. This view was taken facing west at approximately 5:45 PM on Monday, February 1, 2010. 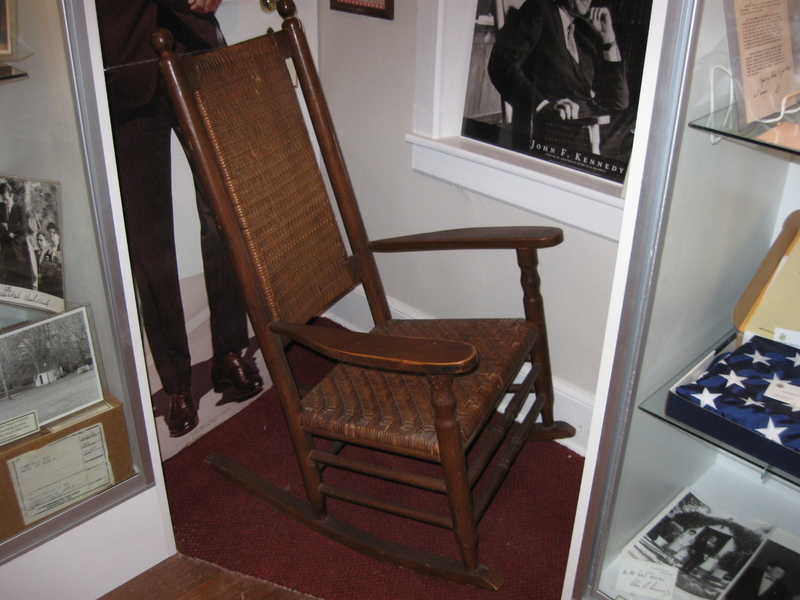 One of Senator John F. Kennedy’s rocking chairs. This view was taken facing northwest at approximately 5:45 PM on Monday, February 1, 2010. 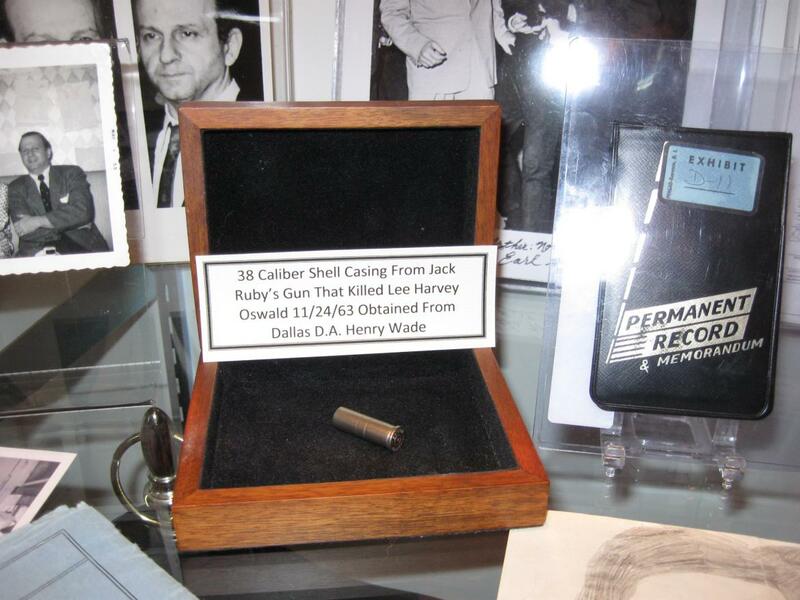 The shell casing is in the box. On the right is Jack Ruby’s book. This view was taken facing east at approximately 5:45 PM on Monday, February 1, 2010.